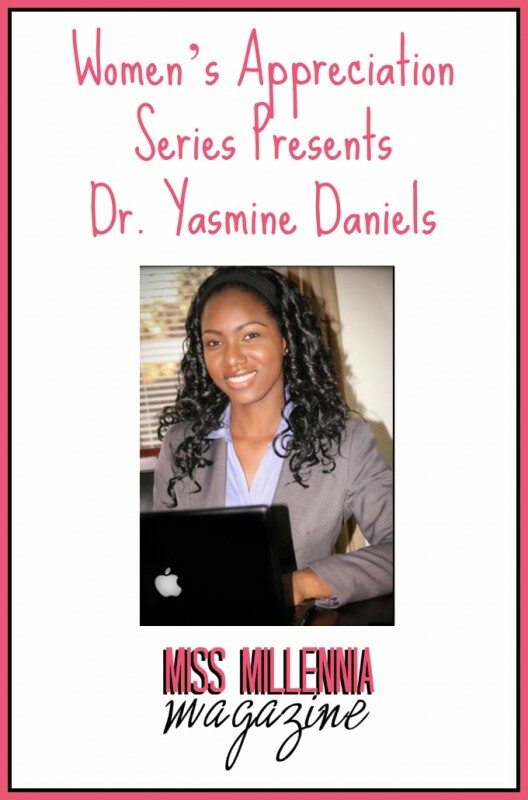 At the tender age of 27, Dr. Yasmine Daniels is an entrepreneur, a laboratory Chemist, and a Professor at the City University of New York. Dr. Daniels is an accomplished millennial that is both fierce and fearless. Miss Millennia Magazine is honored to showcase this rising star in our Women’s Appreciation series. Lindsey Christie (LC): First I must say, WOW! You have accomplished so much at 27! Congratulations on all of your success and achievements thus far. Not many of us can say that we have our own successful natural and organic product line, and a PhD in chemistry. Can you tell me what prompted your career goals and passions? 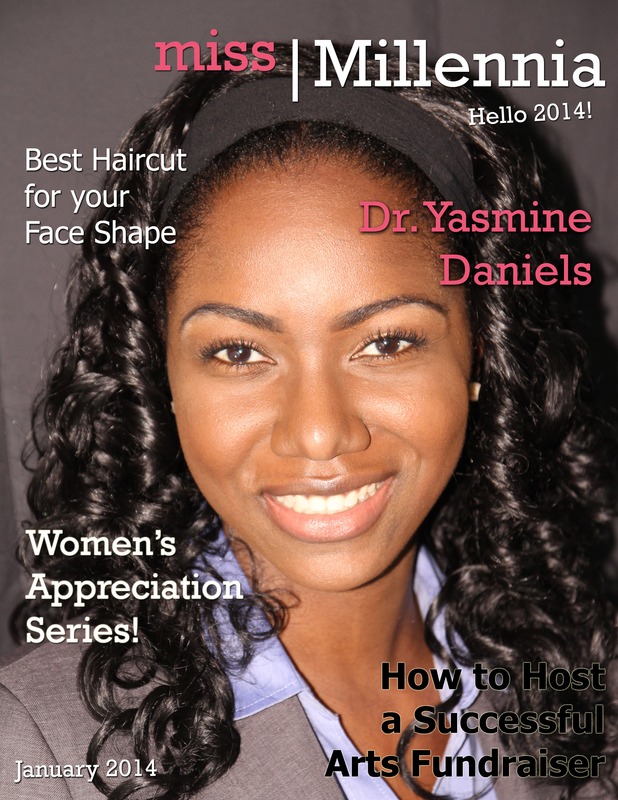 Dr. Yasmine Daniels (YD): Thank you! Actually, a mentor that I had while I was in graduate school incited my interest in chemistry. His love for the subject was so contagious. I was working in chemistry laboratories for as long as I can remember, so it just made sense. As a PhD Chemist, I also teach chemistry at the undergraduate level. I enjoy educating students, and I want to show them, just like my mentor showed me, that the stigmas about chemistry are not true. Chemistry is a beautiful science that truly rests at the core of all that exists. LC: Which experience do you enjoy more? Do you prefer working in the lab versus teaching? YD: I equally enjoy the classroom and laboratory experiences. Ideally, I would like to continue doing both. Even now, as a business owner, I will continue to educate. LC: That’s wonderful. It’s great that you are interested in sharing your passion for chemistry with future chemists. I have sampled your product line, and I must say that it is quite yummy! Can you tell me a little bit more about your product line Nature’s ChemisTreat? YD: Thank you, and I am so glad that you like it! Nature’s ChemisTreat is a natural and organic product line, created by me, to preserve beauty and health. The idea first came to me back in November 2011. I was having a conversation with one of my graduate school classmates about my own hair and skin. At the time, we were both heavily into trying chemical-free hair care products. As future Chemists, we knew enough to question the chemical nature of every hair and skin care product that we used on a daily basis. As a PhD Chemist, I believe that making efforts to obtain chemical-free and non-carcinogenic everyday products is a must. Women use so many different beauty products on a daily basis, and they really have no idea how the cocktail of chemicals found in everyday beauty products affects their bodies after accumulating overtime. YD: Well like I said, the idea first came to me during a conversation with my classmate. But what really sealed the deal, were various conversations that I had with my hair dresser. Ever since I went natural, which was around the same time that I started graduate school, my hair dresser was urging me to work on a product line. She admired the way I kept my hair. I was using natural products that I created myself. My products kept my hair looking thick, healthy, and shiny. LC: How hard was it to start Nature’s ChemisTreat? YD: Starting Nature’s ChemisTreat was not as difficult as I initially thought it would be. Perhaps it was because I had my family as a great support system. Once I put together my business plan, I ran it by my older sisters, both of whom are business owners. The great feedback that I received steered me in the right direction. What was difficult during the launch, was managing my time. I started my business just weeks before going on Christmas break from my current job as a Chemistry Professor. Since it was the end of the semester, not only did I have stacks of papers to grade, but I also had two weeks of teaching to complete. It was a very busy time for me and I struggled. LC: Did you ever have any doubts about what you were doing? As you were launching Nature’s ChemisTreat, did you ever feel like it wasn’t going to work out? YD: When I launched Nature’s ChemisTreat, I didn’t have an all-or-nothing approach. What I mean is, I wasn’t expecting it to work out all at once or right away. I wanted the company to grow organically, and that is exactly what has happened. It is natural to have some kind of doubt when taking a step in a new direction. I mean this is my first business. But my doubts were quickly dismissed by the wonderful feedback I started to receive from my customers. YD: Women who want to start their own business should certainly give it a shot. Starting a business is definitely not cheap! I’ll admit that. If we take into account the amount of money we spend on useless items that often end up in the back of our closet, or in the trash, we will begin to see that our money would be much better spent investing in one’s own business. YD: I like to think of entrepreneurs as performers. To be successful as an entrepreneur, you have to carefully select the arena in which you would like to perform. As an entrepreneur, you are putting yourself on display for the entire world to see, not knowing what their reaction will be. The crowd responds well when we give them what they like. Success is the grand finale. LC: That puts a very different spin on being an entrepreneur. I like that. Can you tell me from your experience, what would you say are the dos and don’ts of managing a business? YD: I’m no expert, but I’ve learned a lot about managing a business through trial and error, as well as by doing my own research. There really is no guidebook that can prepare you for everything that will come your way. However, I’ve found that remaining extremely organized has certainly made the process a lot smoother. LC: Coming back to you, Dr. Yasmine Daniels. Let’s say we were to look back on your personal, entrepreneurial, and career journeys thus far. If you were given the opportunity, is there anything that would you say to your younger self? YD: You know, I’ve thought about this on occasion and have always come to the same conclusion – I wouldn’t say or change anything! I love every mistake that I’ve made, and I appreciate the experiences that got me to where I am today. I am deeply humbled by the milestones I have been able to overcome, and I anxiously await those that are ahead. LC: Well they do say that we should never regret anything that we encounter along our journey, because it has shaped who we are as individuals today. It’s nice to see that you agree with that. Dr. Daniels, we all have fears, and I must say you are one fearless millennial! But can you tell me what scares you? Or better yet, does anything scare you? YD: Oppression scares me – thinking about how things were only 50 years ago. Not having rights and privileges, or the freedom to beat the odds is really what scares me. I am thankful to those who came before me, and paved the way for young women like me, especially those of African decent who were able to beat the odds and amount to such heights. LC: As an accomplished millennial, how do you hope to inspire others? YD: It’s funny because, I constantly find myself giving people advice. I hope to inspire others through my experiences. I feel that if you are passionate about something then just go for it. Whatever obstacle or fears that you may have, just face them. I hope to inspire others to dream big, and go after their passions. LC: You mentioned that we should face our fears and obstacles. Can you tell me how you overcome the obstacles in your life? YD: To overcome obstacles, I put on blinders. My friends make fun of me sometimes and say that I “disappear.” But they know it’s because I am either extremely busy, or facing some sort of challenge. I find that what works for me is remaining focused and resorting to a state of tunnel vision, at least until my task is complete. LC: So focusing on the end result is what helps you. YD: Yeah. Sometimes if you just focus on where you are going, instead of what is going on around you, you will be able to make it through your obstacles. LC: Who is someone who has been the most influential to you? YD: My late grandmother Ruby was a very influential person in my life. She was a business owner herself, however not in the way we have come to know business owners. Though she never had a store front, a brand, a logo, or a website, she was a skilled baker, painter, and seamstress. She was known around town for her baked goods, beautifully detailed paintings, and her clothing designs. She was very passionate, creative, and patient. My grandmother Ruby always gave back to her community through service. I strive to be like her all the time. LC: I thank you Dr. Daniels for allowing us to share your story with other millennials. Again congrats on all your success, and we wish you the best with Nature’s ChemisTreat! YD: Thank you for having me! It was an honor to share my story, and I hope that other millennials will be encouraged and inspired! To find out more about Nature’s ChemisTreat, please visit www.natureschemistreat.com. Nature’s ChemisTreat can also be found on Facebook, www.facebook.com/natureschemistreat and Instagram www.instagram.com/natureschemistreat. So proud of Dr. Daniels and her achievements. She is a true inspiration and a beautiful woman inside and out. 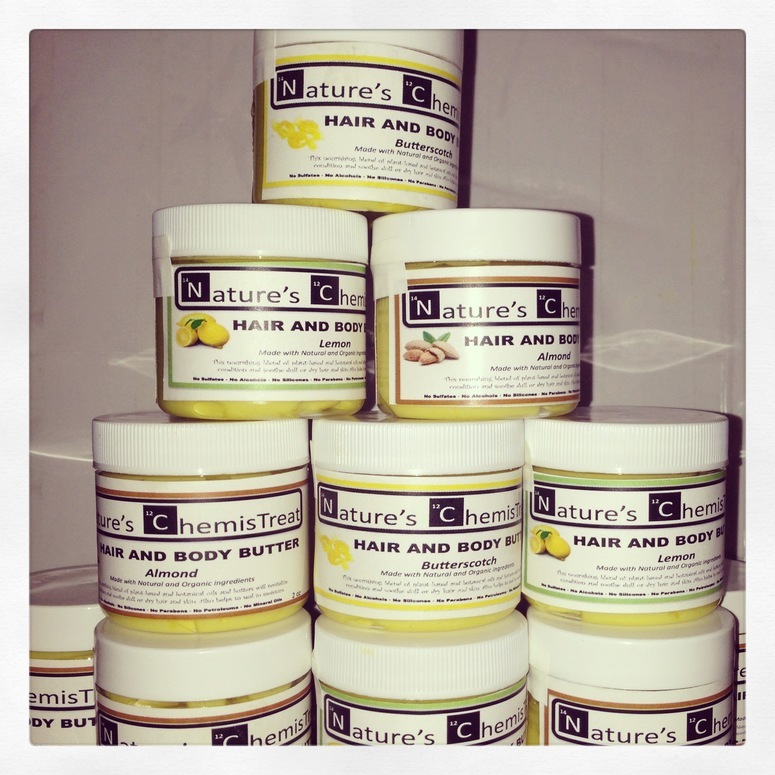 Natureschemist hair and body products are amazing and ORGANIC!. I’m thrilled that Dr. Daniels has introduced her hair and body creations. It’s so inspiring to see such a young entrepreneur. Your achievements speaks itself about your capabilities. Slow and steady makes it to the top! Congrats Dr. Daniels.